Smathers Beach is the longest of the 4 beaches within the city and is well known for its gorgeous sunrises . Smathers Beach is 1/2 mile long and as an island public beach is free to use. The Key West Tropical and Botanical Garden is located on Stock Island, a short 15 minute drive from Duval St. and Old Town Key West. Adjacent to the Key West Golf Club its 10 acres include a lovely pond, waterfall, 2 reception sites and beautiful, lush foilage with tranquil spots for small romantic ceremonies. The historic lighthouse is 88 steps high and offers the best 360 degree view of Old Town Key West. Just below is the Hemingway Estate across the street, Ft. Zachary Taylor, the Key West Harbor and the Southernmost Buoy Marker. Ceremonies are done at 9am, before the Lighthouse opens to visitors. share a love for gardening and historic preservation. 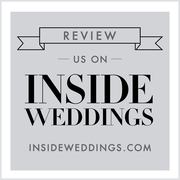 Its truly a labor of love and aptly serves as one of Key West's most popular wedding venues. There a lovely white wedding gazebo and lovely ocean view vistas from elevated points in the garden. There is even a butterfly garden within its walls. and completed "A Farewell to Arms" shortly after. A perect venue for 2 or 200. It's one of our favorite island spots too. to an awesome Italian Bisto called Salute on the Beach. Key West Garden Club and a long walking pier.